Copper Deer Weathervane - a magnificent weathervane available in polished copper or oxidized copper. Each Deer Weathervane comes with an aluminum roof mount base. 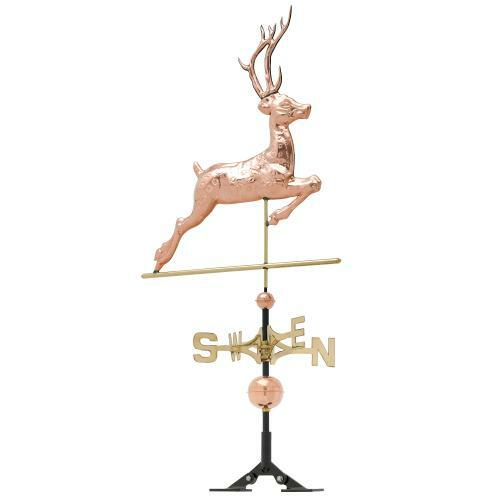 This distinctive Deer Weathervane will be a wonderful adornment to the rooftop of your home or business.